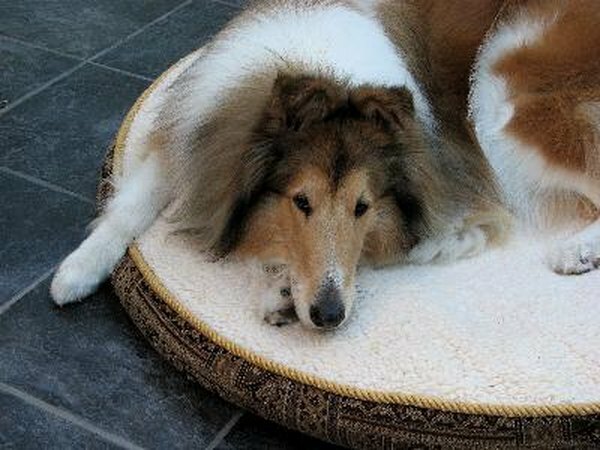 A homemade canine diet can slow kidney disease and keep your cherished pet comfortable. The nutritional requirements for a dog with kidney disease are very different from those for a healthy dog or a human being, so throw your ideas about what is nutritious right out the window. When planning a homemade canine kidney diet, you'll be trying to limit certain nutrients. The main goal of a homemade canine kidney diet is to feed your dog as little phosphorus as possible. The exact amount depends on the stage of your dog's kidney disease, so consult your vet for more details, but 10 milligram per pound of body weight is the limit for dogs with advanced renal failure. You'll be limiting the amount itself and also the proportion of phosphorus to overall calories. The canine kidney diet has very high fat and carbohydrates and lower protein because fat and recommended carbs add lots of calories and very little phosphorus. Dogs evolved to eat a high fat diet of mostly animal protein, so don't be alarmed by the recommended amounts. Cholesterol and fat are not going to give Fido a heart attack or stroke. You'll be choosing whole milk yogurts and cottage cheese, eggs (three or four low-phosphorus egg whites to every one high-phosphorus egg yolk) and fatty meats such as hamburger and ground lamb, and possibly adding bacon fat, butter, olive oil and fish. Recommendations for the proportion of calories from fat in the diet vary from 10 to 35 percent. Consider your dog's weight and activity level when determining the amount of fat. In some dogs, too much fat can cause pancreatitis, so increase the amount gradually and watch for any signs of digestive upset. If you see unusual lethargy, nausea, vomiting or diarrhea, back off the fat. Low protein canine kidney diets are controversial. 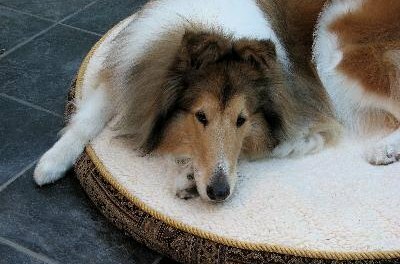 Whether you limit protein will depend on the type and stage of your dog's kidney disease. Before you start the diet, have your vet test your dog's urine. If there's too much protein in your pup's urine, your vet will probably recommend limiting it. The key is to provide a smaller amount of the highest quality, lowest phosphorus protein possible. A nutrient analysis list, such as the one provided by the U.S. Department of Agriculture, is invaluable for helping you choose ingredients. Canine kidney diets get about 50 percent of their calories from carbohydrates. This has nothing to do with your dog needing carbs; it is all about increasing the ratio of total calories to phosphorus. To keep calories high and phosphorus low, these diets use simple carbohydrates from hot cereals, white potatoes, white rice, white bread and semolina pasta. To add nutritional value, the carbohydrate quotient includes boiled or steamed, pureed, low phosphorus vegetables and pureed fruits. Nutrient-dense, low phosphorus veggies and fruits include sweet potatoes, collard greens, squash, apples, and papaya. Some carbs, such as white potatoes and some fruits, don't work for all kidney issues, so ask your vet which ones are best for your dog's situation.